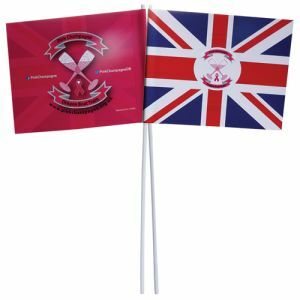 Nothing says ‘celebration’ or ‘party’ as effectively as branded balloons and bunting, and with your logo in prime position your event is themed and ready-to-go. 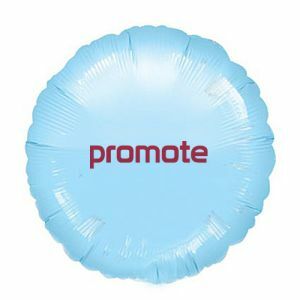 Promotional balloons come in a range of colours and sizes in either latex or luxury foil. 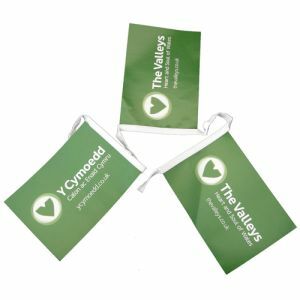 Dress a venue with triangle or rectangle bunting designed for indoor or outdoor use to display your event or company branding. 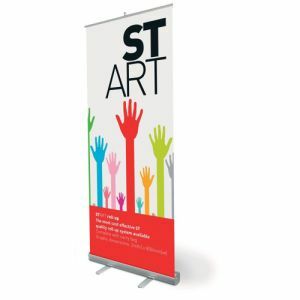 Perfect for promoting event sponsorship too. 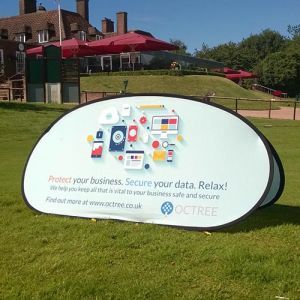 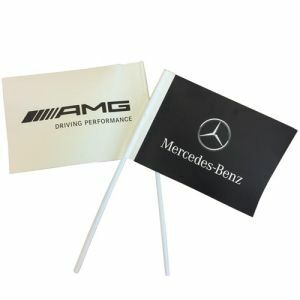 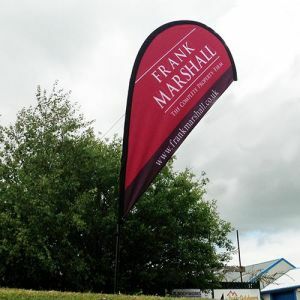 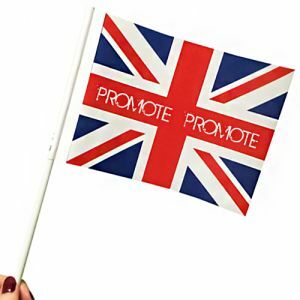 Get everyone involved with personalised hand flags which are a great giveaway idea, or add a large pop up or freestanding banner flag to draw attention or help with signposting. 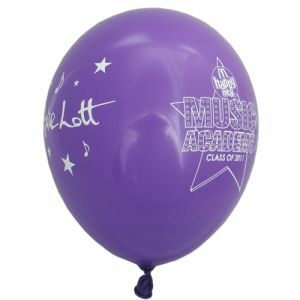 Promotional Balloons are fun whether your audience is 8 or 80 years old and we have more than 50 amazing balloon colours to choose from, in either 10” or 12” branded with your logo or event strapline. 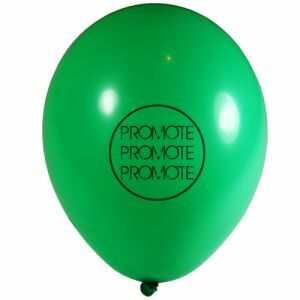 All our latex balloons are 100% biodegradable so you can be confident your promotional balloons will bring joy but won’t harm the environment. 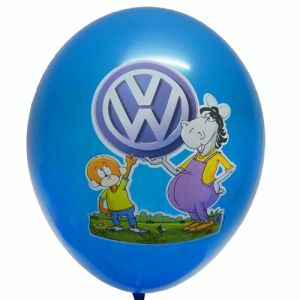 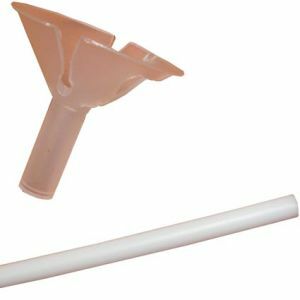 And don’t forget to ask about balloon cups, sticks and helium so your branded balloons can spread your message far and wide. 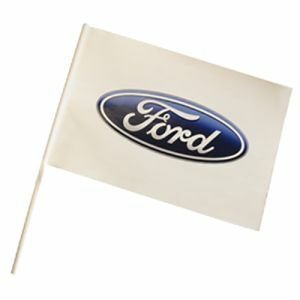 Looking to add a little luxury? 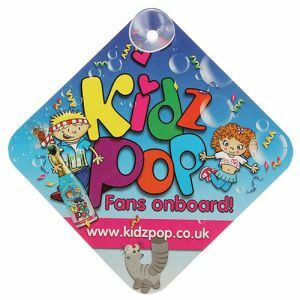 Our promotional Metallic Foil Balloons are 18” and come in a choice of 15 fabulous colours and can be printed in up to 4 spot colours to ensure your logo stands out from the crowd. 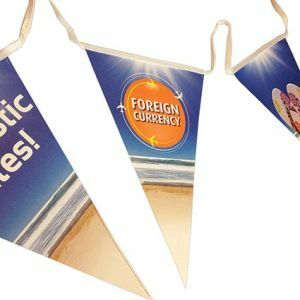 For a big pop of colour and large-scale branding, it’s hard to beat good old-fashioned bunting. 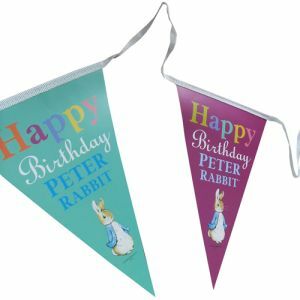 Choose from A5 or A4 rectangles or the more traditional triangle pennant bunting, attached to webbing which can be tied or pinned to your party venue or exhibition stand. 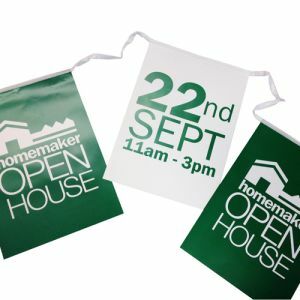 Printed both sides so your message stands out from every angle, our bunting is available for indoor or outdoor locations. 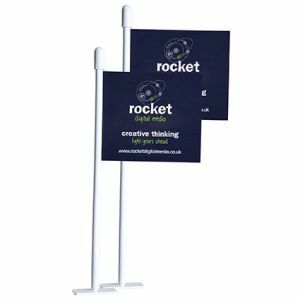 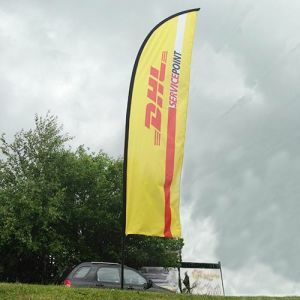 Give your venue, forecourt or stand some high level attention with a freestanding banner flag which is easy to set up and dismantle and comes with its own carry bag and ground spike for grass as standard, but optional indoor or hard ground bases are also available. 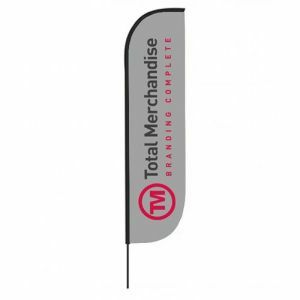 Total Merchandise has a range of shapes and sizes available to create an eye-catching display, so just ask if you need some guidance. 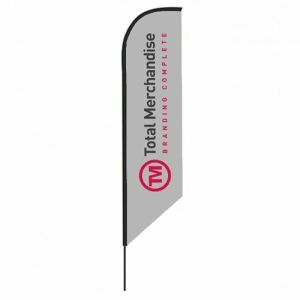 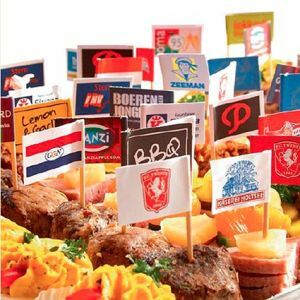 Promotional hand flags will get all your visitors excited and involved, while branded Mini Gourmet Flags can help you advertise if your food or beverage business or food-related promotion or giveaway. 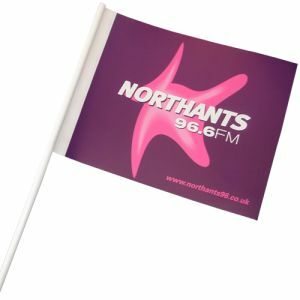 And don’t forget the kids! 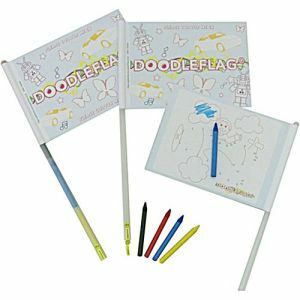 Keep them occupied colouring in a promotional Doodle Flag which can be printed in 1 to full colour to get your logo and message out, and comes complete with wax crayons for hours of colouring fun.